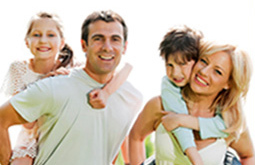 Lake Baldwin Dental of Orlando can provide superior, general dental care to every member of your family. Our office provides an environment where adult and child patients alike, feel comfortable and receive the best care for their dental needs. From routine cleanings to fluoride treatments, the doctors at Lake Baldwin Dental and their skilled staff of hygienists will keep your smile healthy and shining bright. Your family’s smiles are very important to Dr. Dunn and Dr. Anderson and so are your schedules. We do our best to schedule family dental care together or at convenient times to meet the challenges of your day. Taking care of your dental needs is our passion and our highly trained team of dental professionals is here to assist you with regular dental check-ups, treatment questions and post visit care.